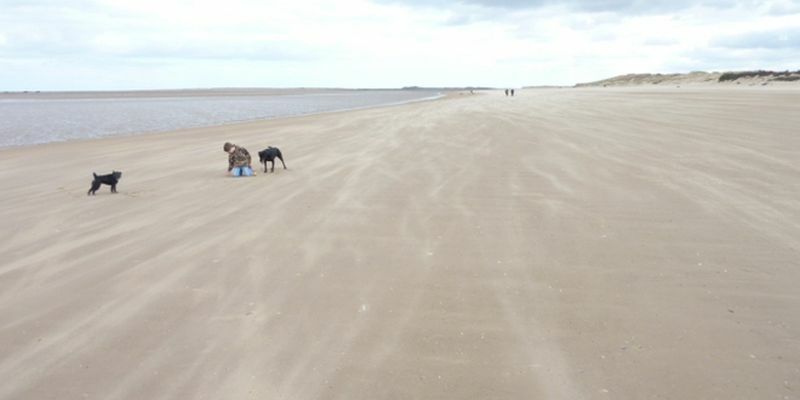 A huge unspoilt stretch of golden sand, Holkham beach on the North Norfolk coast is a great open space for holidaymakers to picnic and play. The beach is a popular holiday destination for Families nature lovers and sports enthusiasts. With so much space there is room for plenty of activities including paddling, dog walking, horse riding, bird watching, and just getting away from it all. Holkham Beach is part of the Holkham National Nature Reserve with dunes, saltflats backed by pine woods full of a wide variety of bird and wildlife. Did you Know? In the film ‘Shakespeare in Love’ during the closing scenes actress Gwyneth Paltrow walks across Holkham sand at low tide. It is also an official naturist beach in a designated area to the west. The beach is dog friendly all year round and there is paid parking close to the beach, with a cafe near by. Holkham Beach is reached along Lady Anne’s Drive at Holkham village, just off the A149, or by the coast road west of Wells-next-the-Sea.